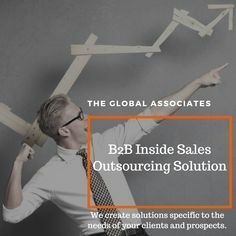 Working under the present-day business conditions of ever-intensifying global competition and high risks is very challenging for The Global Associates B2B Telemarketing Services, having a few major accounts under their belts always feels safer and more comfortable. Big corporate clients have bigger budgets and bigger rewards, fetching a few of them helps B2B telemarketing services pull through even during the times when going gets a little tough. However, handling mega clients brings its own challenges, one needs a few essential virtues to enable them to successfully deal with these challenges. It’s important for B2B telemarketing services to convince the clients about their credentials and capabilities before they hope to get a foot into the corporate environment. Let us have a brief discussion on the essential virtues an agency needs for winning some big deals. B2B telemarketing services must have a solid financial position, big clients are not likely to entertain them otherwise. If they have to hire new vendors every other day, they stand to lose time and resources and their work would suffer. Corporate clients prefer having sustained business relationships, and financial background is an integral part of the deal. Having the capability and competence level required by the big clients is an essential virtue B2B telemarketing services must possess to get into their good books. A detailed and smart portfolio demonstrating your capabilities and previous experience is the way forward. Show willingness and good intent to handle their job efficiently to convince them. It’s just as important as your capability. Your first priority should be their needs, your own interests come later. Self confidence and a willingness to work hard are necessary for B2B telemarketing services to step into the big corporate world. They must possess the right virtues, the right attitude, and only sky will be the limit.